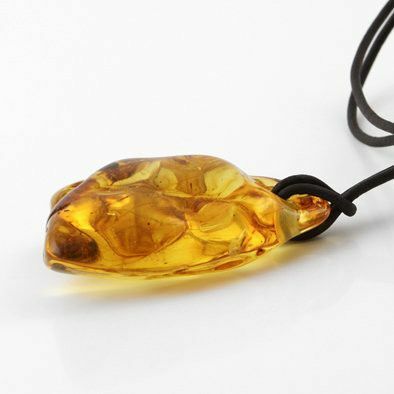 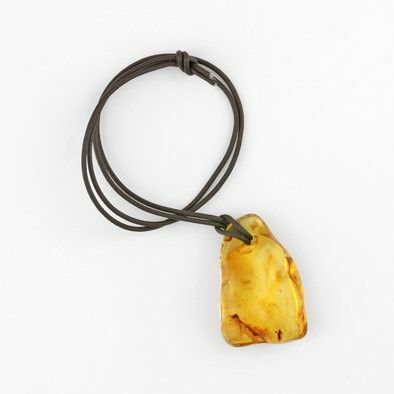 An irregular shaped honey Amber pendant hangs from a dark brown cord. 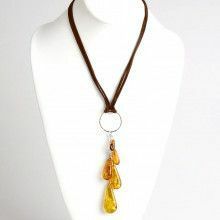 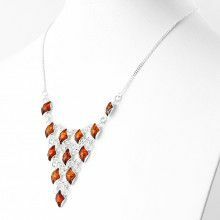 The cord is looped through a hole drilled directly through the amber, preserving the natural look of this necklace. 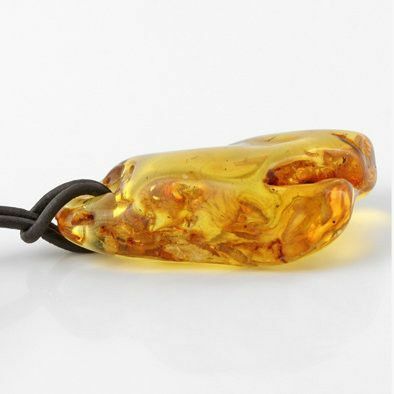 The pendant features many grooves and natural inclusions, tumbled by the sea to a semi-polished shine, making this a truly unique piece. 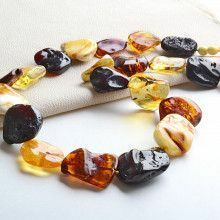 Sizes of the amber chunks vary from one to the next, but generally are around 1 1/4" x 1 1/4" in size. 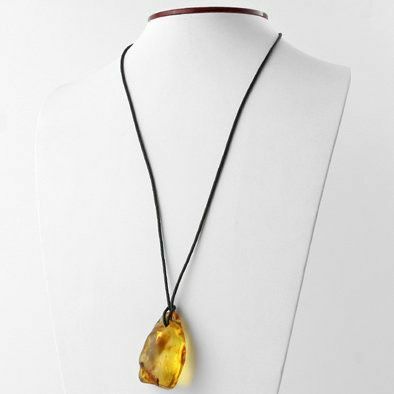 Amber is approximately 1 1/4" x 1 1/4"